Ordinary fuel line is designed to handle fuel on the inside only. With in-tank applications, gasoline also comes in constant contact with the outside hose surface, making it vital to utilize a hose that is engineered to be submersible. Gates Submersible Barricade Fuel Hose is capable of handling petrol, alcohol-extended petrol, ethanols, biodiesel or diesel fuel in fully immersed, mobile and stationary applications. It contains a special compound called Fluroelastomer (FKM) which resists gas permeation and aging. It is also reinforced with Aramid Fiber the same used in bulletproof vests and is pound-for-pound stronger than steel. 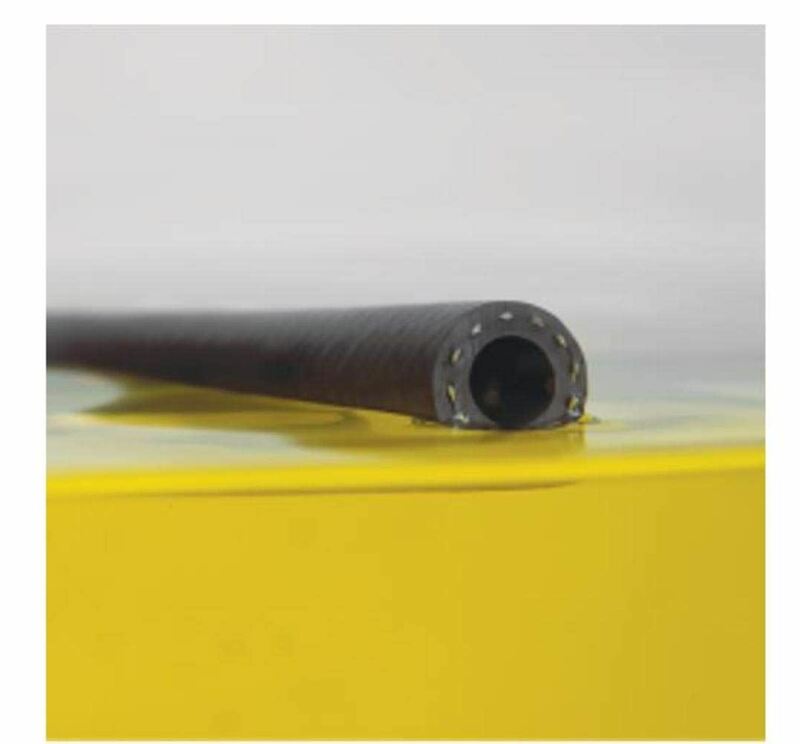 It is this advanced construction that allows Gates Submersible Fuel Line Hose to exceed teh required SAE30R10 rating.